The next generation of rhythm is here! 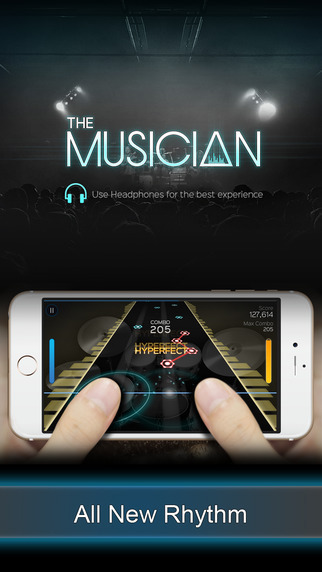 The Musician puts you in the role of a Guitarist, Pianist, or Drummer to jam out today’s hits and classics! Tap, Touch, and Drag notes in rhythmic timing to bring the most iconic music to life. Put on a magical performance and use Fever to give your audience an encore of a lifetime. • Play 200+ of todays’ hits and classics with more added weekly. • Rock out with life-like sounding Guitar, Piano, and Drums! • A rhythmic pick-up and play experience. • Tap, Touch, Drag notes in rhythmic timing to create elegant melodies. • Game Center features include achievements. • Start a jam session locally with your friends.